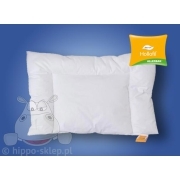 Flat pillows 40x60 cm for baby and toddlers small cot beds. 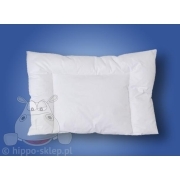 The first, thin 16×24″ flat pillow designed for children from 12 months with a small amount of filling (inserts) inside and with or without stitching. Flat 40/60 pillow for a baby cot bed available with breathable cotton cover or soft-touch Microtouch fabric. Flat 40×60 pillow for baby beds made of hypoallergenic or anti-mite materials designed for allergy sufferers and non-allergic children. A flat, thin cushion for a small child recommended by pediatricians for use from 1-4 years of age.